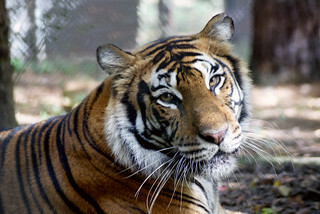 Carolina Tiger Rescue regularly hosts volunteers looking to complete court-appointed volunteer hours. All volunteers work directly with our site manager and construction assistant to help us build new enclosures, keep up with grounds-keeping activities, and help us with general maintenance projects throughout the sanctuary. All court-appointed volunteers must be at least 16 years of age. We cannot accept last-minute volunteers. All volunteer activities must be scheduled with our Site Team ahead of time. please click the button below to email our Construction Assistant.